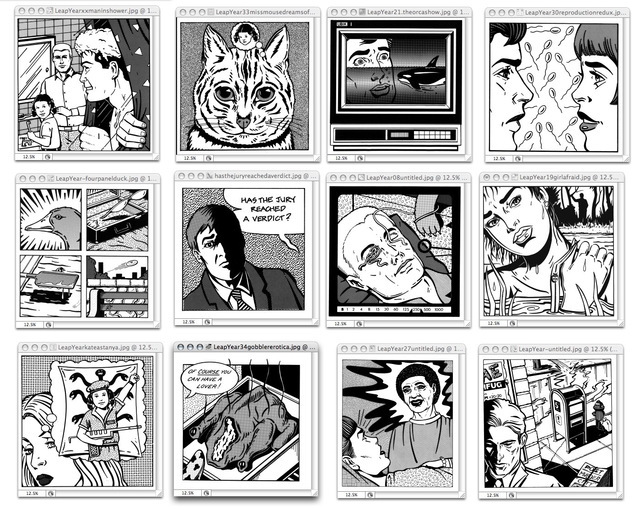 Some of the illustrations by Brad Hamann that accompanied Leap Year when it was orginally published in 7 Days. 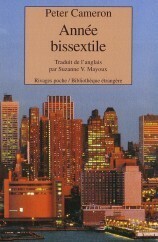 This novel, written in weekly segments for the magazine 7 Days during the leap year of 1988, follows a group of New Yorkers coming to terms with their lives and loves in a vibrantly realized eighties NYC. The elaborate plot spins -- or hurtles -- around David and Loren Parish, a recently divorced thirty-something couple who share a precocious daughter and an irritating enduring attraction to one another. This troubles their new relationships, for both have fallen in love with men: Loren with Gregory, a TV producer, and David with Heath, a bartender/artist. Around this complicated menage revolve Judith, Loren's mother who has come to NYC in search of socially meaningful public health work but finds something else entirely, and Lillian, David and Loren's best friend, who is trying to get pregnant while there is still time to get pregnant. Not to mention Solange and Anton Shawangunk, owners of the Gallery Shawangunk in Soho (of all places). 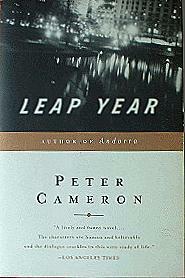 LEAP YEAR includes a kidnapping (botched), an earthquake (alleged), a murder (almost), and an inordinate amount of dining out (figure out which NYC restaurants are still around). A comic novel of surprising tenderness and warmth, LEAP YEAR is a valentine to a New York City that may be gone but will never be forgotten. Pat Towers was Cameron's editor at 7 Days and Rick Kot edited the Harper & Row edition. 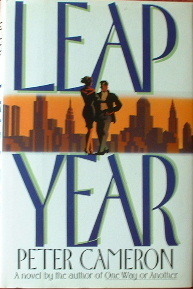 LEAP YEAR was originally published by Harper & Row in 1990 and a year later in paperback by HarperPerennial. 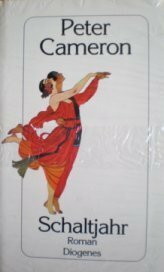 It was reissued in paperback in 1998 by Plume. It is presently out of print.